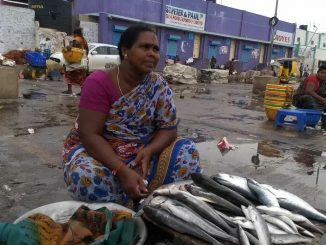 The month was January and Chennai was reeling in the aftermath of Cyclone Vardah. In Royapuram, as in other areas, the extensive damage caused to tree cover left residents shocked and distressed. So, when a group of members of the Dawoodi Bohra community decided to celebrate the birthday of their late spiritual leader, His Holiness Dr Mohammed Burhanuddin Saheb by doing something for society at large, reversing the destruction wrought by the storm was on top of their minds. “One of us took it upon himself to study tree planting in the city and that was how we all came to know about Nizhal and their phenomenal contribution to increasing Chennai’s green cover over the years. 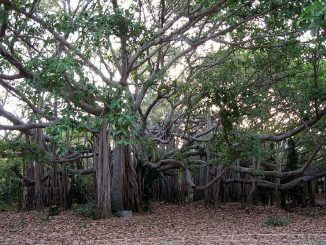 One phone call, and she welcomed us to visit the Kotturpuram tree park,” recalls Juzer Rangoonwala, one of the most active members of the community. 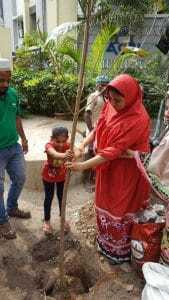 The subsequent visit by Shobha and Nizhal Trustee Dr. Babu and their guidance eventually led to the founding of NABAAT (Nature’s Aid By Adopting a Tree) – an initiative by a group of around 50 men and women in Royapuram and North Chennai from the Dawoodi Bohra community, who are dedicated to planting and adopting trees. A Google form was initially circulated in the community and very soon, they had 40 eager members wishing to join the planting initiative. 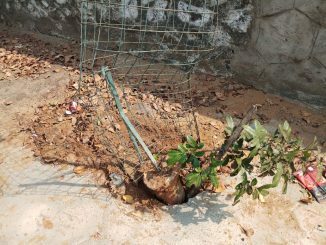 The idea was to sponsor a tree, locate a suitable location for it and ‘adopt’ the same, which meant taking care of its regular maintenance needs. 40 trees thus found sponsors. Shortly, thereafter, a team was formed to spread the word in the local neighbourhood to solicit sponsorship of trees, with the condition that the sponsor would then have to take care of it. However, eventually, a team was formed to nurture those trees planted that had sponsors but none to water it. This team now has seven or eight members who go around every morning by 6 am to water the planted trees, dividing the task among themselves. The actual plantation activities are outsourced to a nursery, but the type of tree, location and conditions are chosen under the careful and strict guidance of Nizhal. “We normally arrange for the plantation drive on a Sunday so that sponsors can be present with kids and family to actually plant the tree with their own hands. We do not encourage sponsorship only by cash, but insist on physical presence,” says Rangoonwala. By the end of February, 100 trees had been planted, and the community aims to keep the number growing, with or without sponsors. Keeping long term sustainability in mind, they have also organised teams to work on initiatives involving organic farming and bio-gas generation. 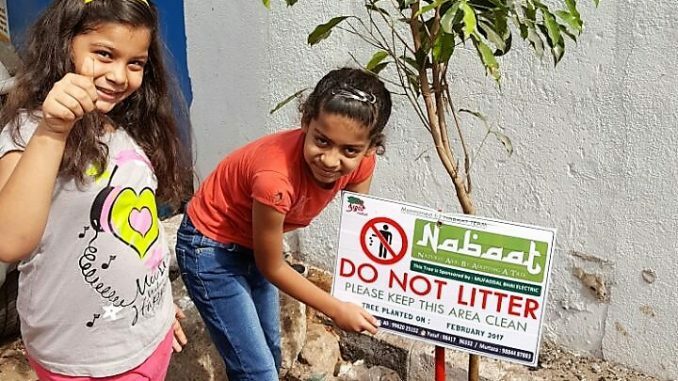 The chief inspiration behind NABAAT, Shobha Menon herself has been all praise for the residents. “I am amazed at the community’s passion and commitment in driving this program. Dr Babu and I made a preliminary site visit to indicate where and which each species could be planted, and over the following weeks they went about reaching out to neighbouring tree friends. Also, the coordinators have involved various age groups in this wonderful work of planting and caring for trees in a congested urban area such as Royapuram.” Nizhal has also provided one liners as information on each of the species planted, to generate interest and knowledge.